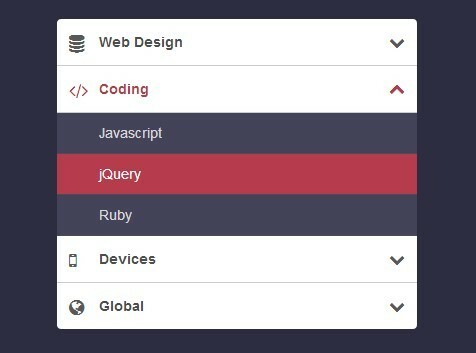 Download Free jQuery Accordion Menu, Accordion Slider, and other Accordion-style plugins at our jQuery Accordion Section. Page 5 . A jQuery plugin for creating an accordion-style slider that allows to expand/collapse slides with smooth CSS3 based slide effects on mouse hover. zAccordions is a lightweight jQuery plugin used to transform nested Html lists into a multilevel accordion list with ease. A lightweight yet powerful jQuery plugin for creating a responsive accordion control that supports basic list view operations like searching, filtering, ordering and sorting. Easy Responsive Tabs is a simple jQuery plugin for quickly creating content Tabs which allow you organize larger groups of content into a tab interface. 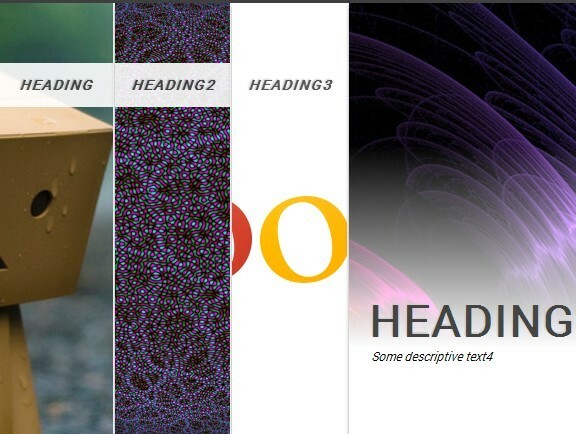 An elegant jQuery & CSS3 based horizontal slideshow with smooth accordion effects using jQuery animation APIs. Responsive tabs/accordion jQuery Plugin that helps you present content sections like accordion on mobile/tablet devices and like tabs on desktop. Koalapse is a simple jQuery accordion plugin that uses WAI-ARIA attributes to make your accordion panels accessible for users who use a keyboard only and cannot use a mouse. 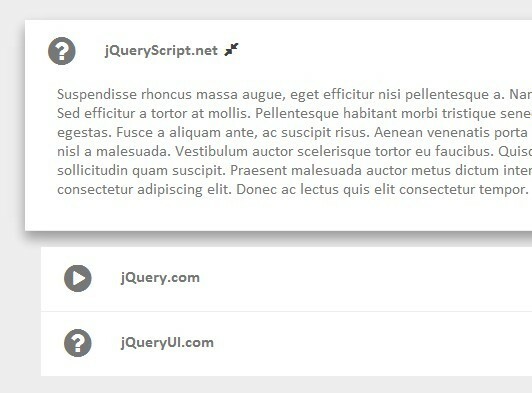 multiAccordion is a tiny jQuery plugin to extend the jQuery UI Accordion widget that allows you to expand multiple sub- content panels at a time. A simple, effective and responsive jQuery accordion plugin for expanding/collapsing content panels with smooth slide animations based on CSS3 transition. tabacc is a jQuery plugin allows for presenting content sections like tabs on larger devices or like accordion on smaller devices. Expandy Thing is a jQuery plugin used to create accordion-style collapsing and expanding animations for block-level elements. 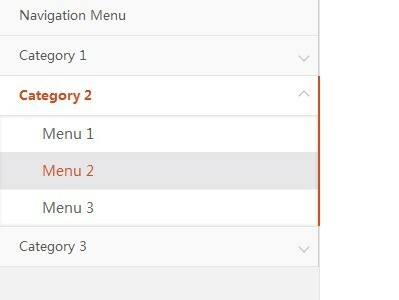 A lightweight jQuery CSS3 based accordion plugin to create accessible, smooth toggle panels following the WAI-ARIA Design patterns. Paper Collapse is a simple jQuery accordion plugin which allows you to collapse & expand paper cards with fancy CSS3 transitions. Content Collapse is a super tiny jQuery plugin to smoothly collapsible & expand content by clicking the panel header, which acts as an accordion.